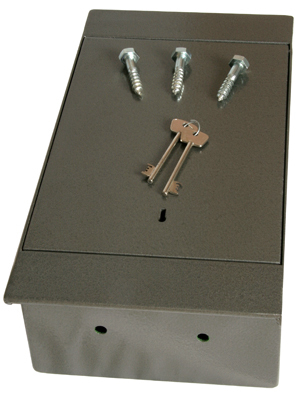 The DIY Floorboard safe offers easy installation with a great idea. This safe fits securely between joists in your floor. The safe can then be completely hidden with carpet or a rug. Four holes are provided to fix the coach fixing bolts making installation simple.